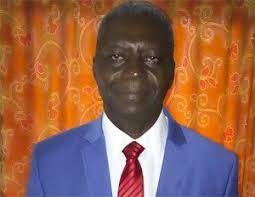 Gen. John Ogbor, retired as been has been nominated as the All Progressives Grand Alliance (APGA) presidential candidate for the 2019 elections as the deadline for the conduct of primaries ended on Sunday. John, who secured the party’s primary election held in Abuja, were a running mate, Mr Jerry Chukwueke, was also picked. “I want to be your president so as to fix Nigeria;my government will be unequivocally committed to a unified and prosperous nation where no one and no place will be left behind. “Right now, Nigeria is confronted with many challenges such as insecurity ,unemployment ,poverty and illiteracy. Ogbor said that the time had come for Nigerians to feel the impact of leadership. He said that APGA would produce a leadership were all lives and property would be protected, adding that Nigerians needed not to despair because hope had come. He said that he would transform Nigeria with his five point agenda of true federalism, social reconstruction and security. The National Chairman of the party, Dr Victor Oye, said Ogbor had satisfied the requirement of APGA’s constitution . Oye said that the party would strive to ensure his victory in 2019. He urged Nigerians to vote for APGA for a paadigm shift in the nation.